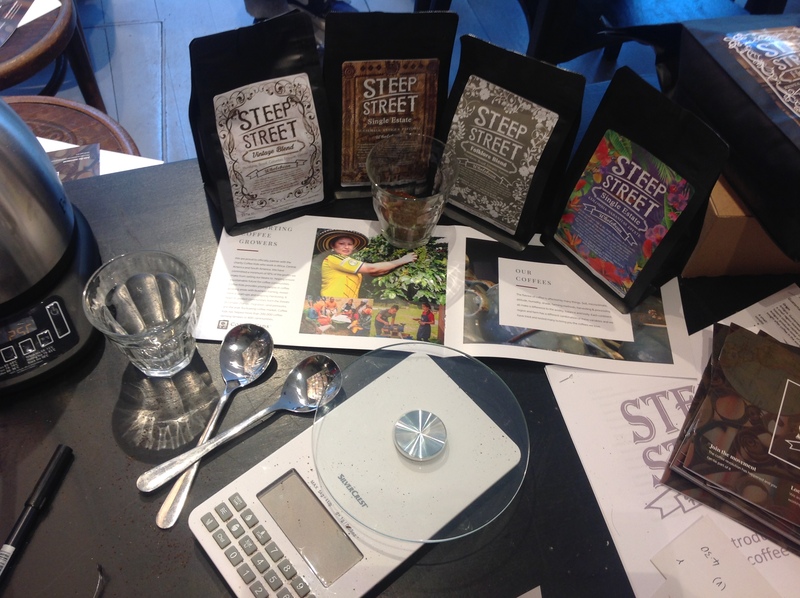 Steep Street Coffee House is a licensed book café situated on the Old High Street in Folkestone, amidst artist studios and quirky boutiques. We invite you to enjoy our excellent coffee, freshly made cakes, savoury food and warm and friendly atmosphere. We are a literary coffee shop inspired by the famous book cafés of Paris. 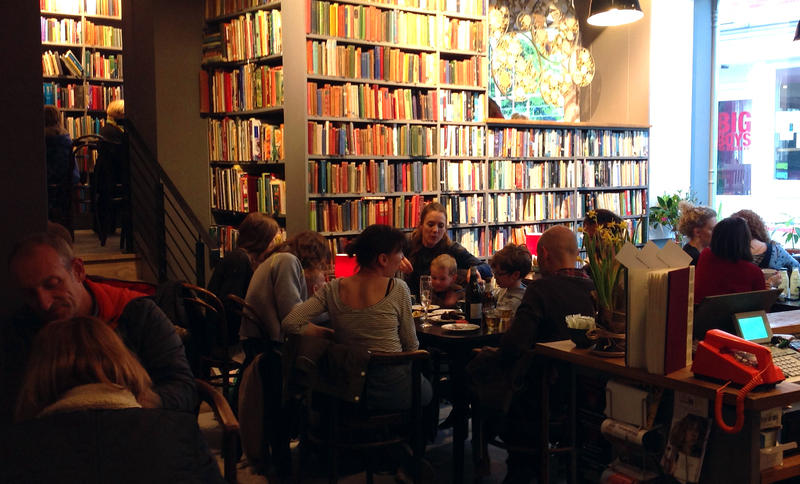 Our walls are lined from top to bottom with poetry and local literature, classics and coffee table hardbacks. The books are for browsing and are for sale. Our customers are welcome to take them off the shelves and read them during their visit . Steep Street Coffee House is a hub for lively conversation, meetings, reading, writing and entertaining. All of this fuelled, of course, by our speciality coffee, sandwiches, salads, paninis, patisserie and a good deal of our famous home-made cake. We don’t have a menu. We change our food daily to ensure it is fresh, inventive and tasty. Our carefully selected offering always includes gluten free, vegan and vegetarian options. All of what we sell is made on the premises using nutritious, wholesome ingredients. We have a number of local suppliers including Troo Granola just 100m from our door. We use free range RSPCA assured eggs and our tea is fairtrade. Our milk is sourced through the Dairy Development Group that ensures farmers receive a fair price.